It's more likely that they included him to further their secular social justice agenda. 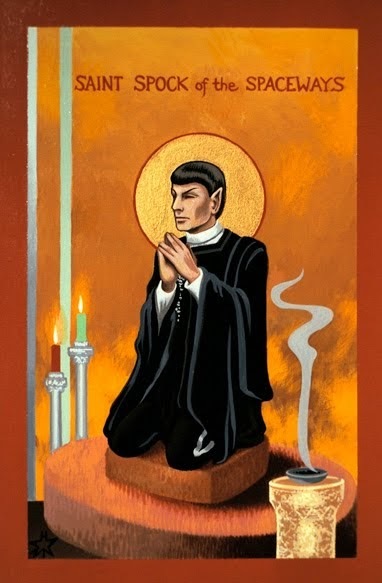 I've been reading a great deal on Fr. Seraphim Rose lately, and they've become precisely the modern institution he detested, carrying on at length about temporal issues but removing Christ from the equation. 2. Tsar Nicholas II - I'm a huge supporter of monarchy - to the extent that absolute monarchy is my ideal form of government - and the last Tsar gave up his life in the fight first against liberalism, and then against the Satanic forces of Marxism which brought death and destruction on an unprecedented scale to Russia. when doing so quite literally got thousands of others killed. Do you care to explain where you're going with that? I'm assuming it's a provocation of some sort. There are social justice agendas and there are social justice agendas. MLK's "secular social agenda" was not only OK but very Christian. I'm sure there is a world between what he preached and Black Lives Matter or whatever. But I agree with you and with Blessed Seraphim in this issue. And canonisations to support them. Canonising Milk, on the other hand, is pure evil even at the core of its intentions. Milk hasn't been put on our calendar, even in the "we haven't approved this even though we still have it" Holy Women, Holy Men, and I cannot see that he will be. This is just something Lentz made up. As far as political agenda saints are concerned it's hard to go wrong with Nicholas II. Tikhon is on our calendar for a bunch of reasons, between martyrdom and his personal relationship with PECUSA, but don't hold that against him. 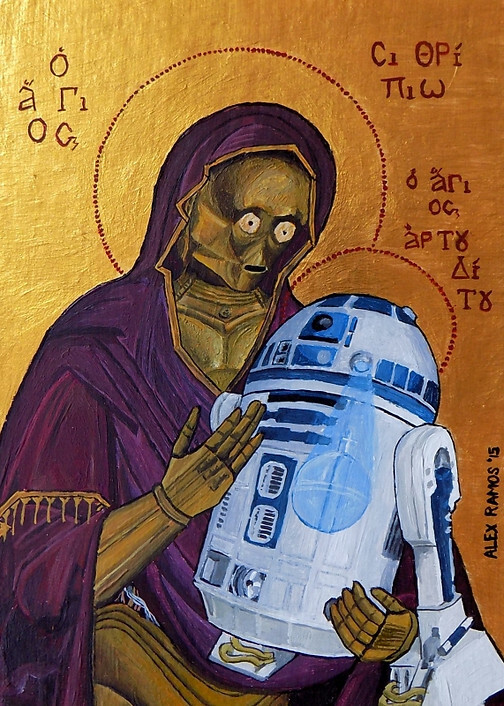 A series of Byzantine-style icons of Star Wars characters. A playful parody of the worship and adoration that fans like me give to these iconic (pun intended) figures. And so on (more in the source). @Dominika Lol. And this is not just a joke; he's selling them! 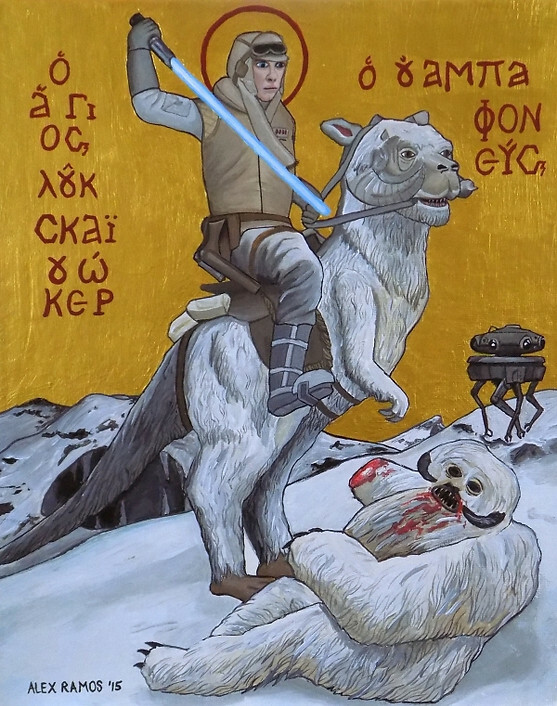 A pretty good parody of the Tres Riches Heures, actually. Oops. Meant to post this in the strange icons thread. All the ornamentation in the halo looks odd to me, though not schlock. 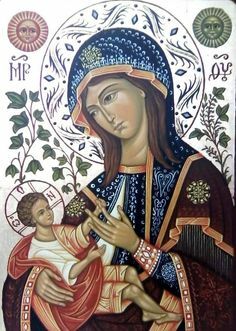 The vines also struck me as odd in the context of the icon. You get to charge more for that ornamentation. Could the vines be a reference to the fruit of the line of David or Jesse? Why schlock? It's just plain beautiful. Ouch... These vestments would be cool without this Sacred Heart image. ^No, they wouldn't. Thou shalt not make vestments of your mother's 70's bedroom curtains. Anyway, I like the colours and patterns, visible also on other EO African vestments. 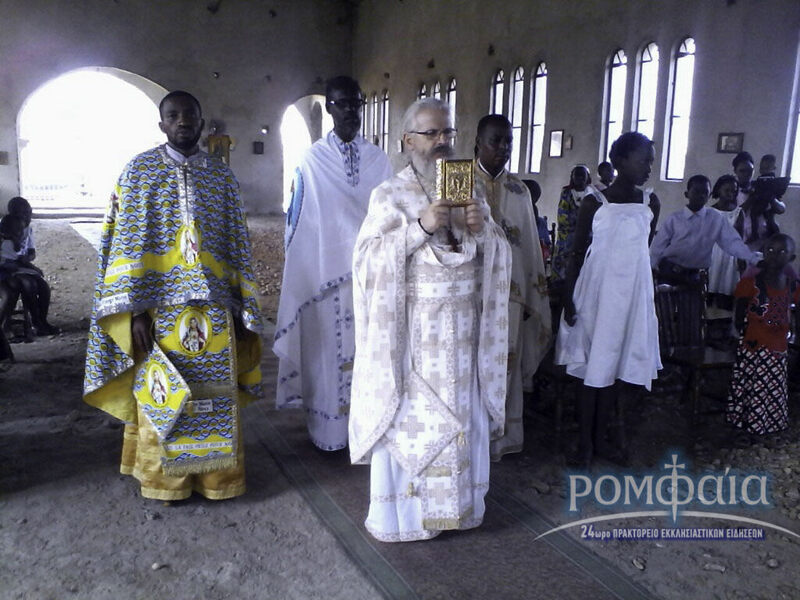 While I agree many African priests do not have enough money to spend on several sets of vestments this is clearly not the case here as it's clearly seen they were bought on purpose and not sewn from old curtains (unless you live in a very weird house). And the choice was bad. And they are too baggy for those two priests but that is the least of a problem in this case. 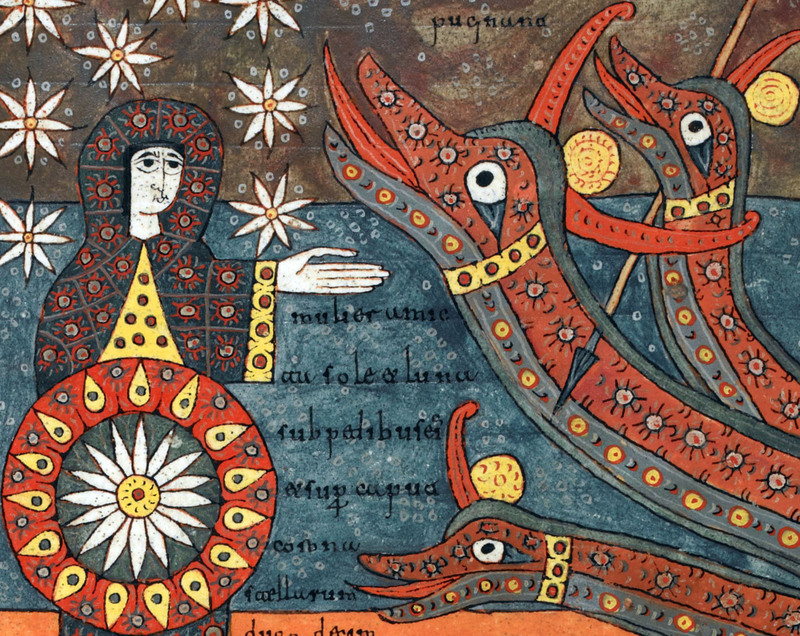 There is something to be said about depictions of angels within their context. The first time they were painted as Roman soldiers were also controversial. I want to see one of the Archangel Raphael as an undercover Jewish exile playing the part of a helpful guide in an adventure morality tale. 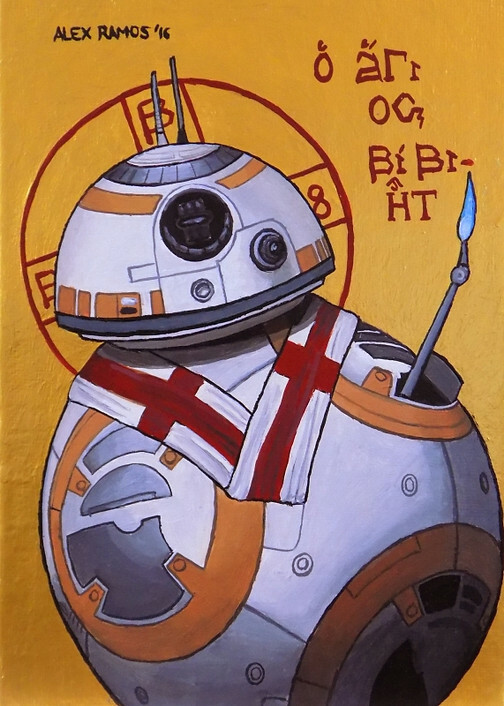 Not an icon, though, just a painting. Way too much stuff going on there. 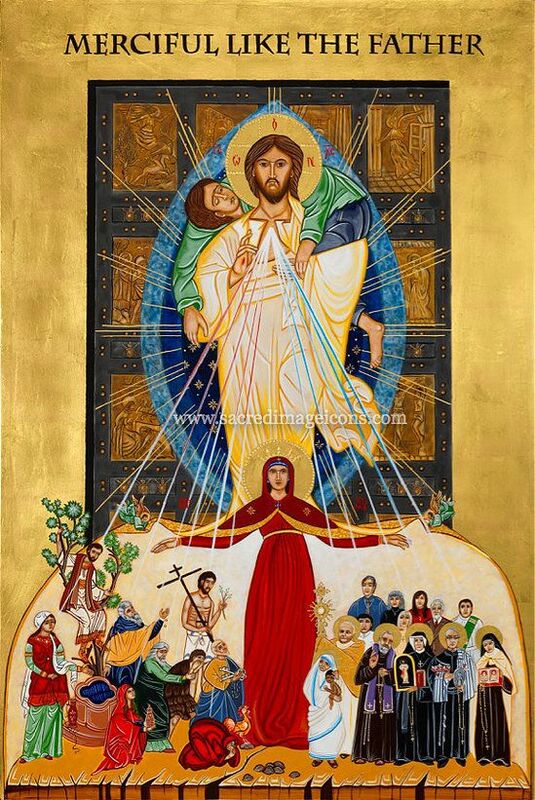 Who is the person being carried by Jesus? Yeah, but a tracksuit?!? There's soldiers and then there's soldiers. He looks like an enforcer in the Barese crew. I got the original from a discussion about gopniki. That's the context. "Hey Father, throw me down a blessing!" I got the eye of the incorporeal lion! 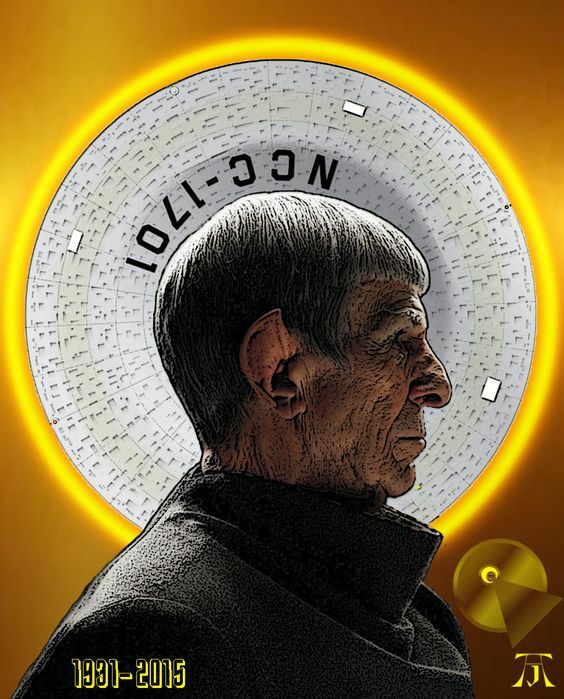 Is there evidence that Spock was Orthodox? Is it a case like with St. Isaac the Syrian?